Alice MacKenzie has been the main presenter of our Gaelic magazine programme Ceòl is Criomagan since Two Lochs Radio first went on the air in 2003. In 2006, we won the Wallace Sword Award for best Gaelic-language magazine programme produced in the Highlands for the second time after submitting an edition of the programme. 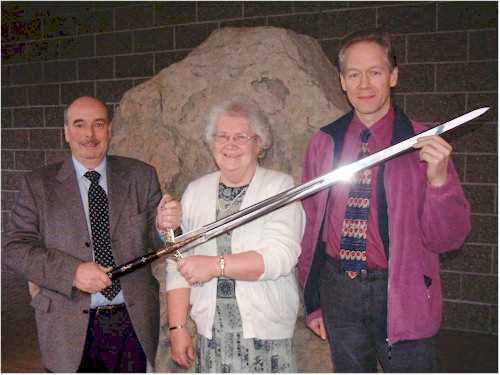 The photo shows Alice receiving the award from the Chairman of Highland Council's Gaelic subcommittee, along with Alex who edits the programme.